I have a very classy Godmother. When I was born, she started a charm bracelet for me. Whether this helped mold me into a jewelry obsessed woman or she knew instinctively I will never know for sure, but I know that this piece of jewelry is intricately woven into the tapestry of my life. How exciting it was for me to have a birthday, because every year would bring another charm commemorating something about me or something special that happened that year. There is the first day of school – an engraved report card in Sterling Silver. My Baptism, First Communion and my Confirmation are all there. So is a slim, beautiful clarinet to commemorate the place music began to play in my life. As the years went on and the charms became more plentiful, it became difficult to wear due to the wonderful but obvious jingling noise it made with every movement…I had to make sure only to wear it to somewhere where it wouldn’t cause distraction. This was difficult because for me, it was always a distraction. I have never tired of looking at each charm, re-living the events and the childhood joy of receiving them. I loved this idea so much I did the same for my wonderful Goddaughter Katie when she was born. I hope that her bracelet means as much to her someday as mine does to me. 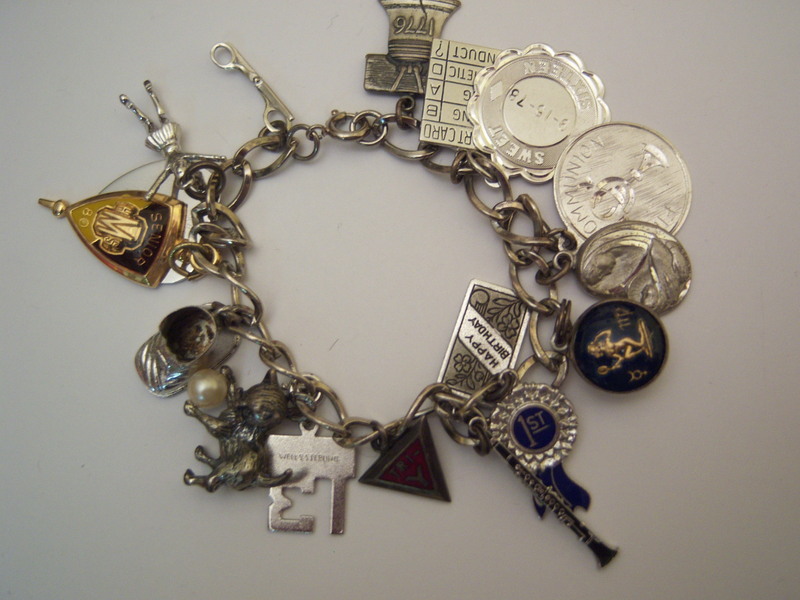 If you need an idea for a Goddaugher, granddaughter, niece or other little girl, consider a quality charm bracelet. Maybe you will help mold a jewelry fanatic. And maybe, just maybe, she’ll write a blog post about it someday! What Makes a House Your Dream Home?